A pas de deux is a dialogue of love! 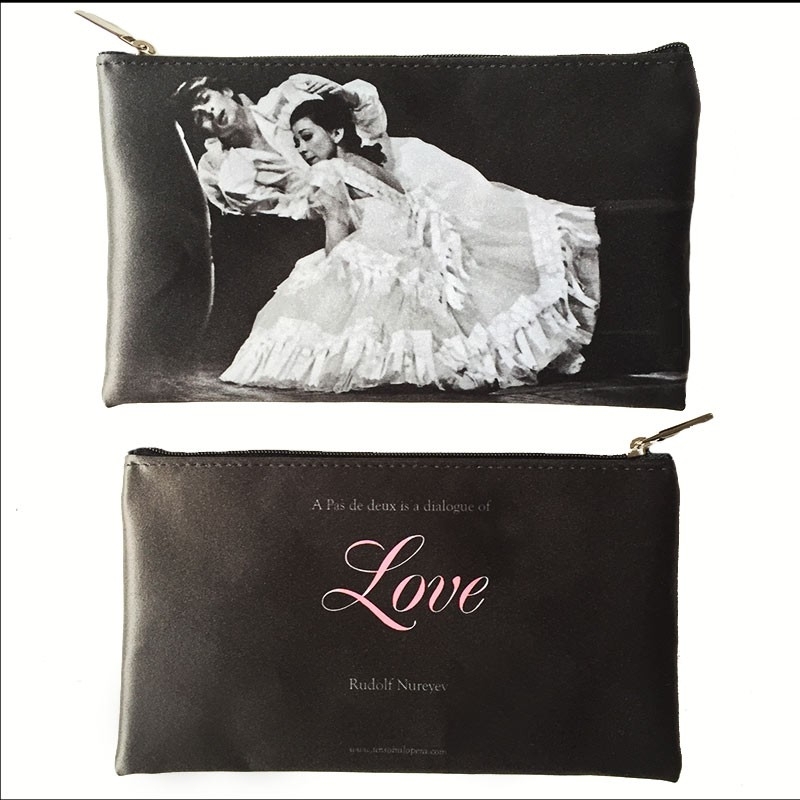 A beautifully designed makeup bag for Ballet lovers. It is the perfect size to store your makeup stuff. Featuring Rudolf Nureyev and Margot Fonteyn in the romantic ballet "Marguerite and Armand" on one side and Nureyev's quote on the other side. This makeup bag is just the perfect gift for all ballerinas! Quote : "A pas de deux is a dialogue of love"
Rudolf Nureyev performed all the major roles, Giselle, Petrushka, the Prince in love with the White Swan and then betrayed by the Black Swan, Les Sylphides, Solor in La Bayadère ... Un soir a l'opéra pays him tribute with this beautiful photo from the ballet Marguerite and Armand. 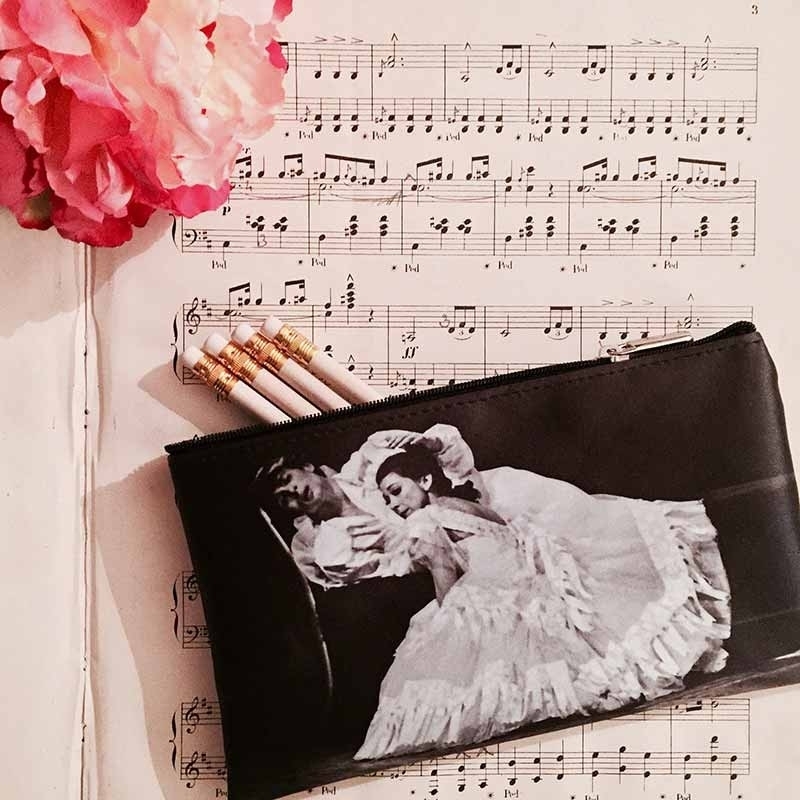 This ballet is inspired by La Dame aux Camelias by Alexandre Dumas's novel published in 1848. Ashton staged this beautiful and romantic ballet in 1961 for his muse Margot Fonteyn.